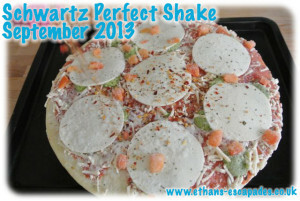 After taking part in the What’s For Dinner Tonight challenge we were asked if we would like to try the Schwartz Perfect Shake range. 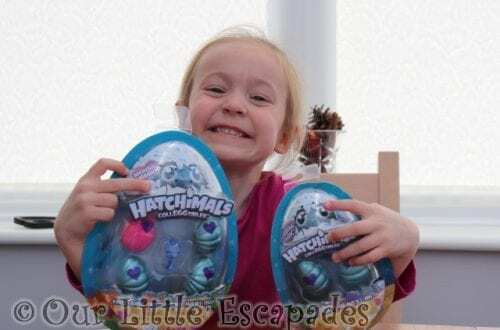 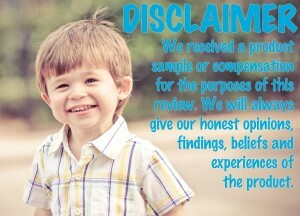 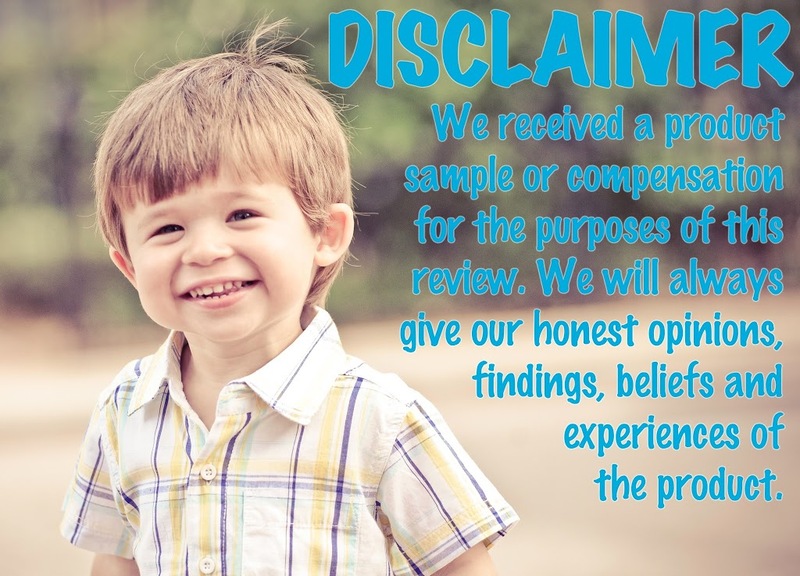 As we are always looking for ways to encourage Ethan to eat a wider range of food we were happy to sample them. 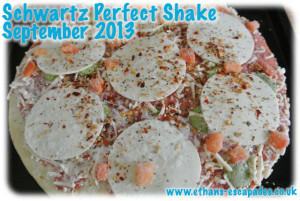 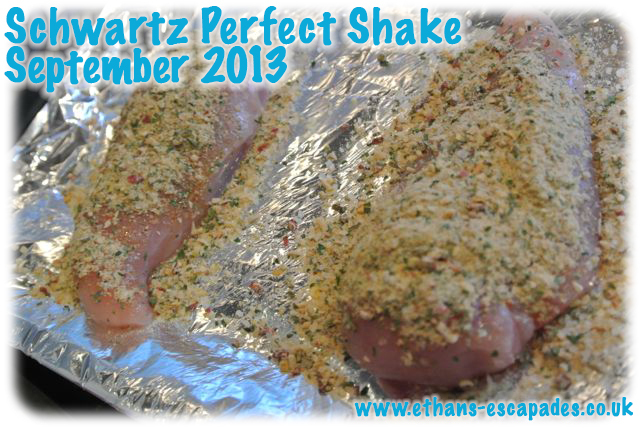 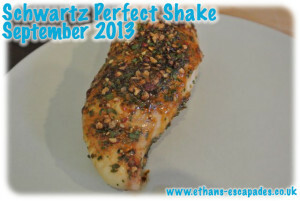 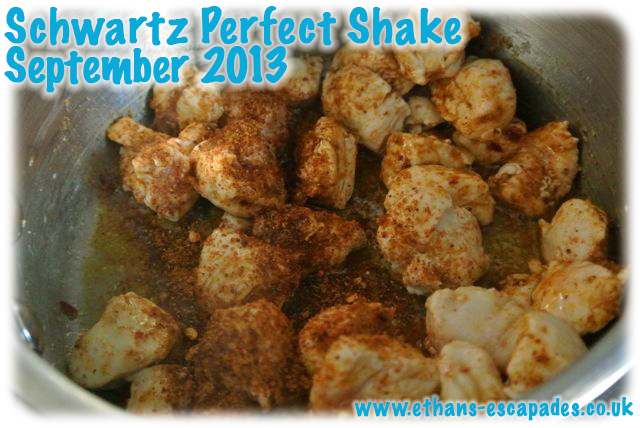 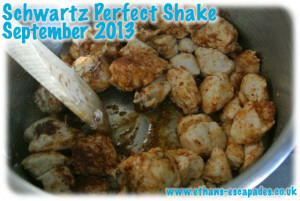 Schwartz Perfect Shake Herb & Spice Blends can be sprinkled onto food prior to cooking, used in sauces or marinades, or added last minute to a dish for maximum flavour impact. 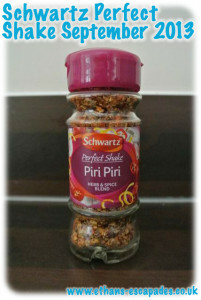 This is how we got on. 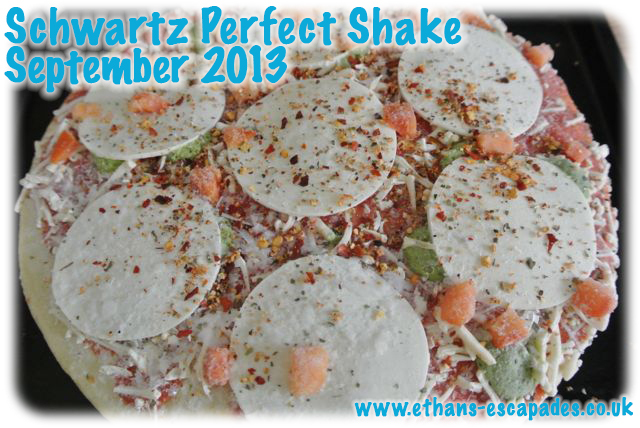 We decided to use the suggestion on the jar for this blend and sprinkled it over a pizza before cooking. 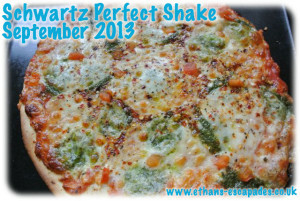 Our Verdict: This really did give the pizza a bit of a kick, I think I did get a little sprinkle happy, so perhaps it was a little too hot for our liking but it was a nice change. This was something I would have never thought of doing without the suggestion and it is something I would do again. 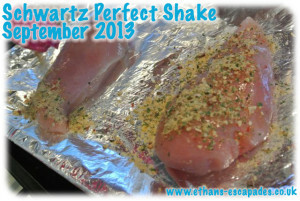 I can’t wait to try this blend as a marinade on chicken. 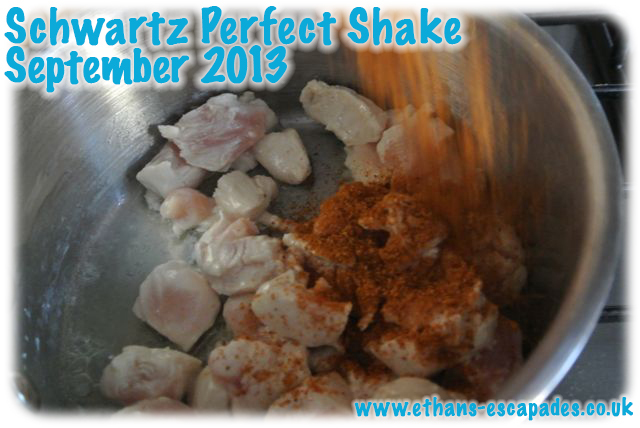 We used this blend on chicken and I added it to the chicken as I cooked it in the saucepan. 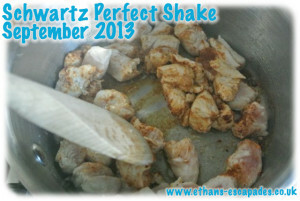 Our Verdict: This chicken was so quick and easy to prepare, we had it in a wrap with salad. The blend gave the chicken a lovely flavour, which wasn’t too spicy. 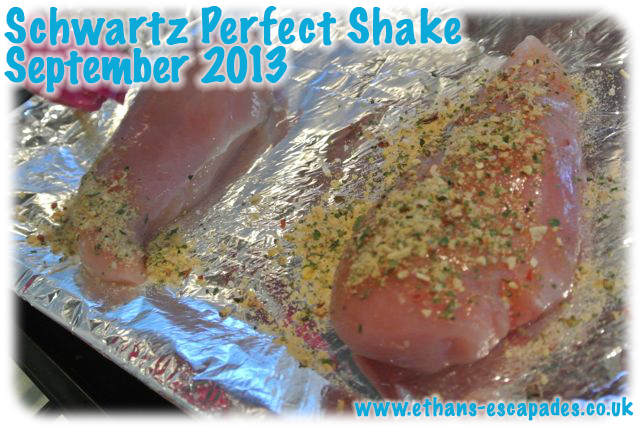 We used this blend on chicken, all we did was sprinkle it on the chicken and place it in the oven. 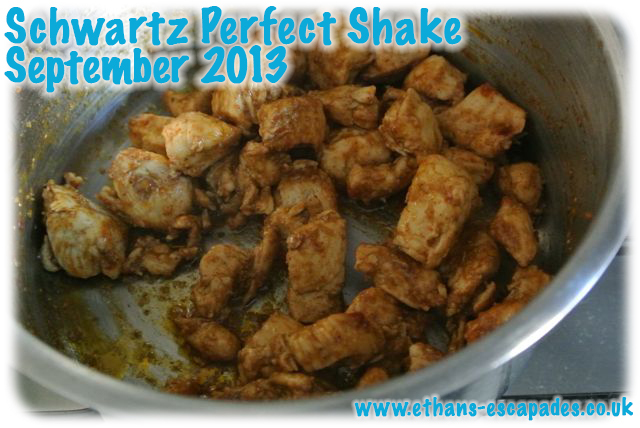 Our Verdict: This blend made our kitchen smell amazing as the chicken was cooking. 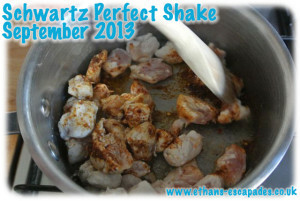 Another quick and easy way of making chicken nice and tasty. 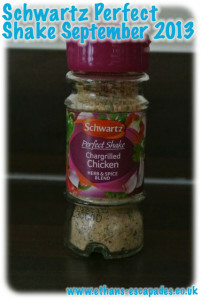 The chicken tasted lovely and it is even suggested to sprinkle this on a whole chicken before cooking. 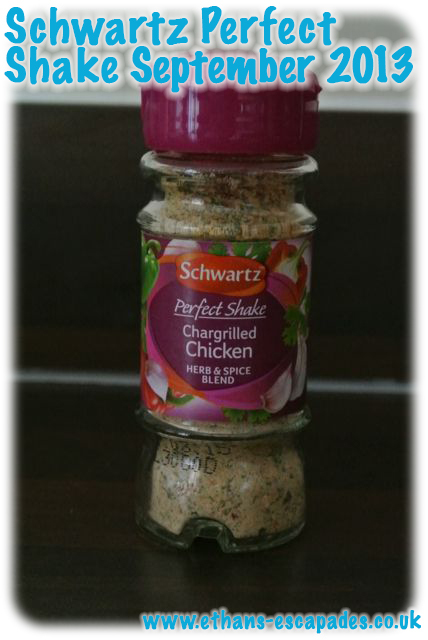 We love the Schwartz Perfect Shake range, they really are a nice edition to have in your kitchen when you want to quickly add some flavour. 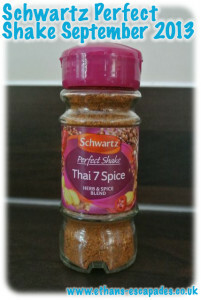 There are lots of different blends available in the range and I will be adding some more to our collection.